Please complete the form below and your enquiry will be sent directly to Cape Town Trike Tours via email. 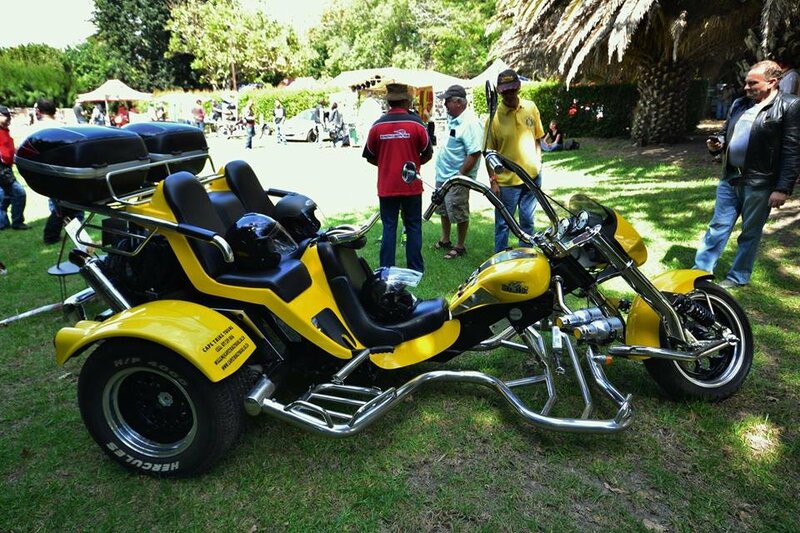 Your enquiry has been sent to Cape Town Trike Tours. Looking to experience something totally different? Well, look no more! 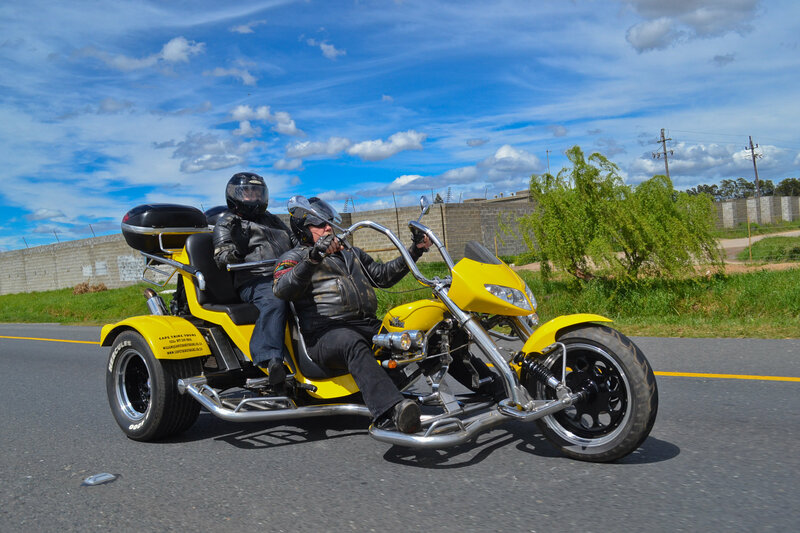 Cape Town Trike Tours is the only trike tour operator in Cape Town. We offer 4 set tours but will customize any tour you desire. * Cape Point tour: Full day. Approx. 8 hours. Includes entry to Cape Point reserve. * Hermanus & Whale Route tour: Full day. Approx. 8 hours. * Cape Winelands tour. Full day. Approx. 8 hours and includes two free wine tastings. * Romantic sunset tour. Approx. 2.5 hours and includes finger snacks and a bottle of sparkling wine. This tour can be done on either Signal Hill, or at Chapmans Peak if open. This fully imported trike seats two passengers and helmets are provided. This makes an ideal gift for that special person or couple in your life. We are also available for matric functions and weddings. Cape Point &n peninsula by trike. Hermanus & Whale Route tour by trike. Cape Winelands tour by trike. Romantic Signal Hill sunset tour by trike. Romantic Chapmans Peak sunset tour by trike. Travel via V&A Waterfront, through Sea Point, Bakoven, Camp Bay with a photo stop above llandudno. Down to Hout Bay harbour (trip to seal island optional). We then travel up Chapmans Peak, rated as the second most scenic marine drive in the world, (if open) and stop for a photo stop on the pass. We then ride down through Noordhoek, to Kommetjie, Misty Cliffs to Cape Point (entry included) for a lunch stop. From Cape Point we travel to Simonstown and the Boulders Penguin Colony. From there we travel through Fish Hoek, Kalk Bay over scenic Boyes drive with a photo stop above Muizenberg. From there onto the M5 with a stop at Rhodes memorial. Drop off at hotel or guest house. 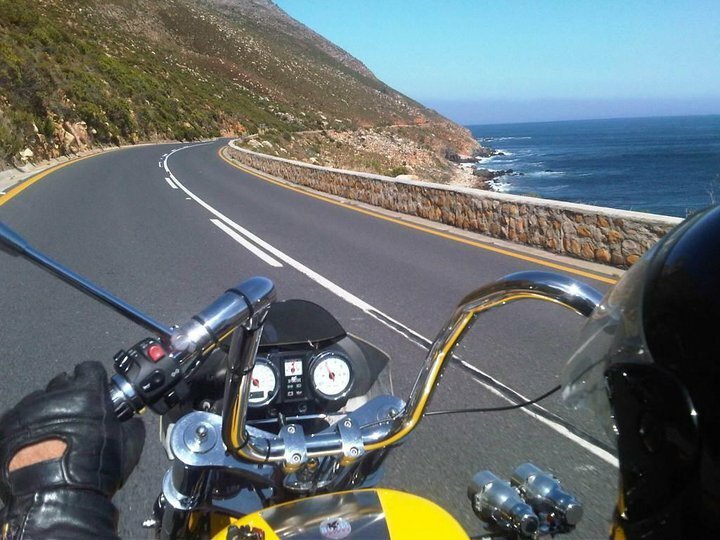 Ride down the N2 towards Somerset West, Strand to Gordons Bay. Stop for a photo shoot on Clarence Drive, rated as the most scenic marine drive in the world. We stop at Rooi Els for a drink or two, then to Betty’s Bay and Kleinmond. We ride further to Hermanus, rated as the best land based whale watching site in the world, and stop for there for lunch. From Hermanus we ride to Botrivier, over the Houw Hoek pass, stopping at the Houw Hoek Inn, then through Grabouw, stopping on top of the scenic Sir Lowry’s Pass for a photo shoot. We travel down along the N2 back to hotel or guest house. Please note that the Signal Hill sunset tour is not available over weekends and from Dec. 15th to Jan. 15th. For the romantic at heart... collection from V&A Waterfront approx 2 hours before sunset. We travel through Cape Town, along Sea Point to Camps Bay, and then up onto Signal Hill where you will enjoy a bottle of sparkling wine and some finger snacks (included) while you watch the magnificent African sunset over the Atlantic Ocean with Robben Island in the background. For the romantic at heart... collection from V&A Waterfront approx 2 hours before sunset. We travel through Cape Town, along Sea Point to Camps Bay. From there we make our way further along the Atlantic Seaboard past Llundudno and onto Hout Bay harbour for a rest stop. From here, we ride up onto Chapmans Peak drive, voted as the second most scenic marine drive in the world, where you will enjoy some tasty finger snacks and a bottle of sparkling wine whilst watching the African sun set.